Home › British Columbia › Vancouver › Mens Clothing Store Near Me in Vancouver › Harry Rosen Inc. Looking For Mens Clothing Store? Products Carried: Harry Rosen Inc. is a leading high-end men’s clothing specialty retailer in Vancouver, BC. Harry Rosen offers a range of brand name designer clothing, footwear, and accessories. They also offer Made to Measure tailoring from a number of designer collections, and complimentary alterations on regularly priced merchandise, a Lifetime Maintenance Guarantee, and a generous Return Policy. 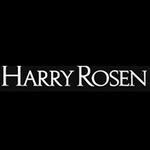 Give to Harry Rosen Inc.
You will receive updates from Harry Rosen Inc.